If you're in the market for a new budget system featuring the latest CPU architectures then for the last little while AMD Ryzen has been your only port of call. 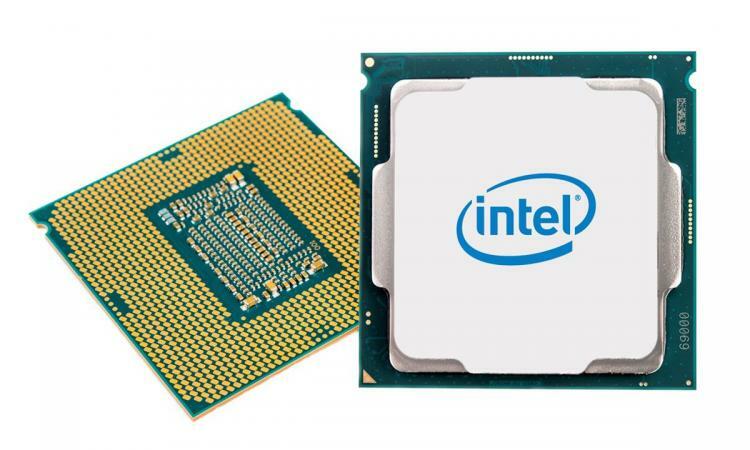 Although Intel have released 8th Generation Core 'Coffee Lake' CPUs into the mainstream and enthusiast sectors, motherboards with low-price chipsets (B- and H-class designs from the 300-series) and suitable partnering CPUs are thus-far AWOL. That may be about to change however; the fine folks over at Videocardz.com have uncovered listings from an Australian retailer for both Pentium and Celeron CPUs which would be ideal for more affordable motherboards. Setting a base level are the Celeron G4920 and G4900, dual-core designs clocked from 3.1GHz which don't support hyperthreading. Starting from AUD $64 (USD $50), it's worth noting that at present no single-core models undercut their position in the range. Clearly, theses CPUs are wholly unsuited to a Z370 motherboard. Beginning at AUD $97 (USD $77) is the Pentium G5400, joined by the G5500 and G5600 higher up the range. Each of these CPUs are dual-core parts with hyperthreading, differentiating themselves from the Celeron line starkly. Beyond that, these SKUs chiefly differ through core frequency, starting at 3.7GHz and increasing in 100Hz increments. Finally, joining the Intel Core lineup are three new SKUs which plug a couple of yawning gaps in the current Coffee Lake range. Sitting between the Core i3-8100 and i3-8350K is the i3-8300, another 4-core, 4-thread CPU that priced near to the US$150 mark. As you might expect the base frequency sits just below that of the i3-8350K at 3.7GHz, but unlike the latter does not support overclocking. Given the current lineup of games available to the PC this could indeed be a great entry-level CPU when paired with a H-series motherboard. Meanwhile the mid-range gains two new models in the form of the Core i5-8500 and i5-8600. System integrators in particular may find these SKUs attractive as they're more affordable 6-core/6-thread CPUs than the overclockable i5-8600K, and they don't have an inherited stigma that the i5-8400 suffers from (i.e. 'x500+' are performance/gaming SKUs, below that is for mainstream home PCs). These models are scheduled for release on February 14th, two days after AMD's planned roll-out for the Ryzen desktop APUs.